That’s a fair question. Indeed, it is worth widening it to “How useful is any textual guide to morality, ethics, or personal behavior?” Whether you follow Torah, the New Testament, the Koran, Buddhavacana, Shruti, the Avesta, or Peter Singer‘s Practical Ethics, the question is the same. How useful is any of these? The answer is that the core text of any ethos is only as useful as you make it. 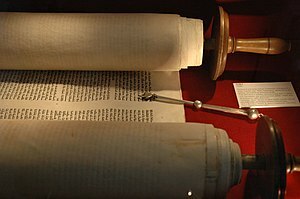 My family and I find Torah useful every single day, often many times a day. But I know plenty of my fellow tribesmen who do not. And I know the more I study, the more I apply it. But the question cannot be answered by anyone who does not know because they have not made a good faith effort to try.